If you have ever sat down and eaten in a pancake house you will know this game all too well. 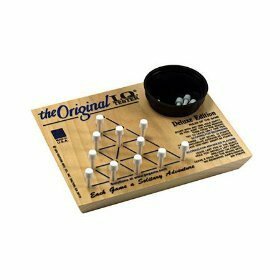 The Tricky Wooden Triangle is a solitaire peg game that you jump your own pieces, like a game of checkers until you can no longer make a move. 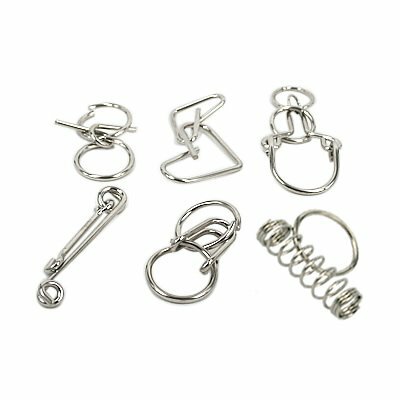 Since you can always move the position of where there is no peg there are thousands of different solutions to this simple yet complex game. 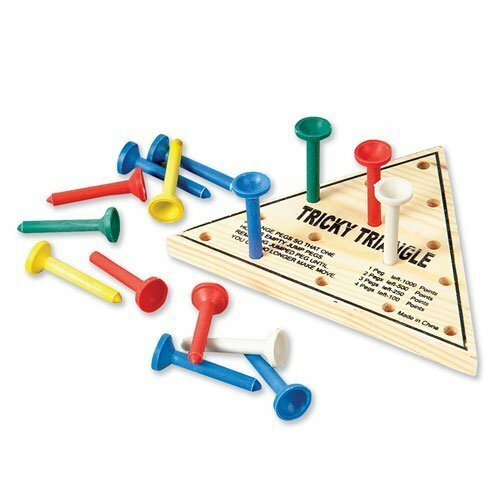 The tricky wooden triangle game is very easy to play but only the most witty individuals will master it. Nobody will ever get it right on the first try!This game will always be different depending on which slot you decide to leave blank, from there you will find your self immersed and quite possibly even frustrated with this novel game. though this game is for one player, you can keep score vs. another opponent or even go 1 on 1 with for a race for the best solving time. This is a simple and inexpensive game that ensures you hours of enjoyment and competitive fun. makes a great "Grab Bag" give away or party favor for schools, birthday parties and more. Rules of the Game Start with one empty hole Jump pegs to remove pegs from the board Try to leave only one peg Product Specs Measures 6.5" x 5" x 2" Comes with wooden base, pegs and plastic cup Made in U.S.A.
Why play the timeless puzzle game ever since 1974, when a young Hungarian professor created an 'impossible' iq cube, the magic cube has been one of the most acclaimed puzzle games in the world. It measure and builds intelligence. 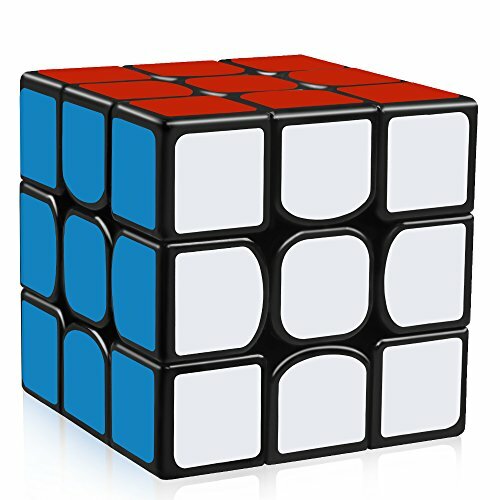 The 3x3 cube can be solved in endless ways, and there are multiple benefits in learning how to solve it. 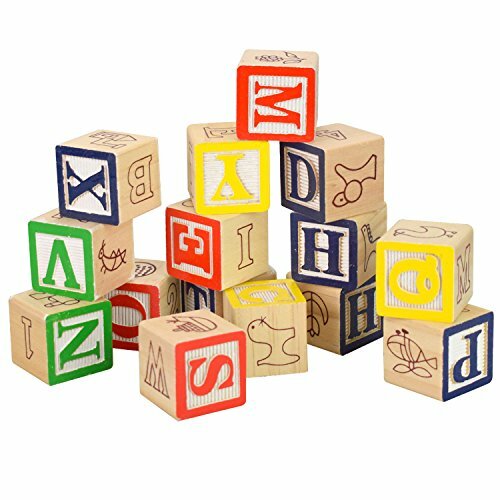 Improves cognitive skills and concentration builds your iq level and improves hand-eye coordination keeps the brain sharp during old age excellent iq cube our 3x3 magic cube features an ABS plastic construct that is non-toxic and safe for use by everyone. Unlike traditional cubes, this product does not contain stickers that peel off after some time. 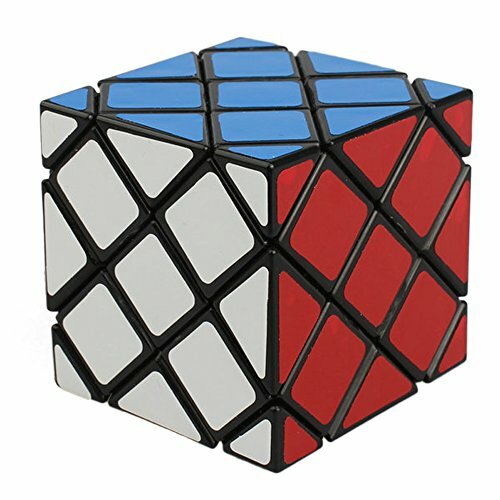 This cube turns smooth and has a tension able design that makes it super easy to use. On top of that, our extra focus on elegance makes it an aesthetically appealing accessory that looks great in any space within your home, car or office. Stimulate your brain with a puzzle! 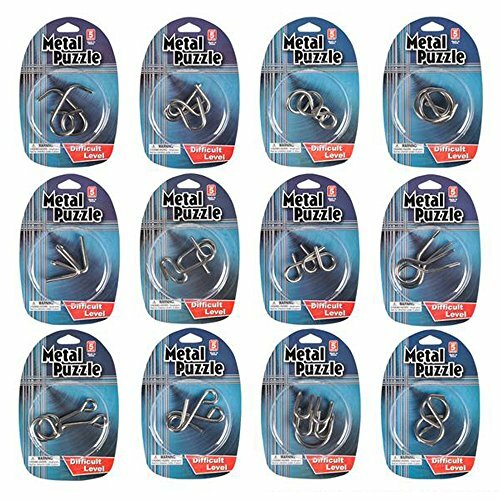 These twisty Wire Puzzles will challenge your spatial reasoning abilities and help you enjoy your coffee break. Puzzles make great cubicle toys and gifts for both young & old. 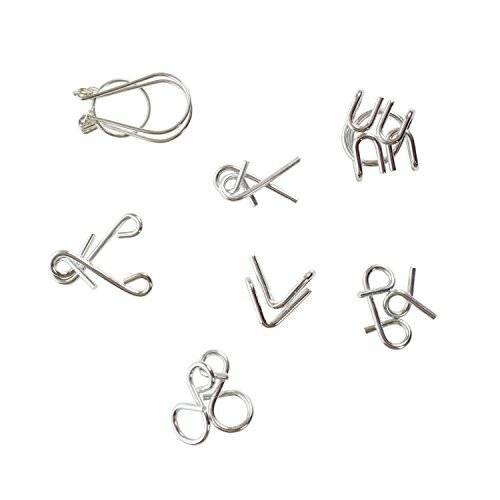 The six pieces vary in difficulty, but don't be fooled: they're harder than they look! #Choose Dreampark, your reliable supplier! # #100% Money Back Guarantee!# Dreampark aims at providing optimum structure cubes for professional players and beginners. Amazing corner cutting, higher stability and optimized structure of anti-POP are the core and pursuit of Dreampark products. Environmental material Using the original ABS material: non-poisonous material, the color will never fade. Ultimate Gift No one falls out of love with the Speed Cube. They are always awesome for both kids and adults, you can take them anywhere. add something for your kids to do in the car or on the airplane? Have an elderly family member who's sharp as a tack and needs something to do? Need a stress reliever before the big business meeting? 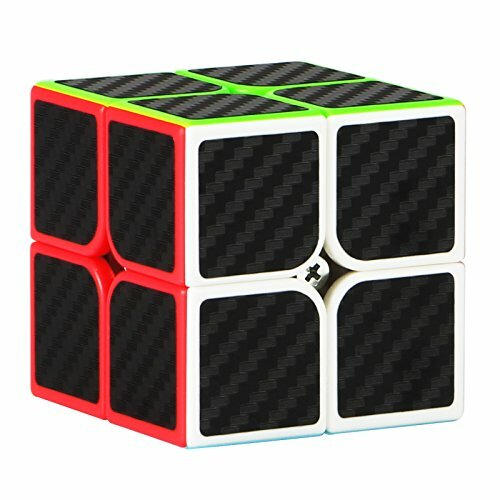 Speed cube to the rescue! 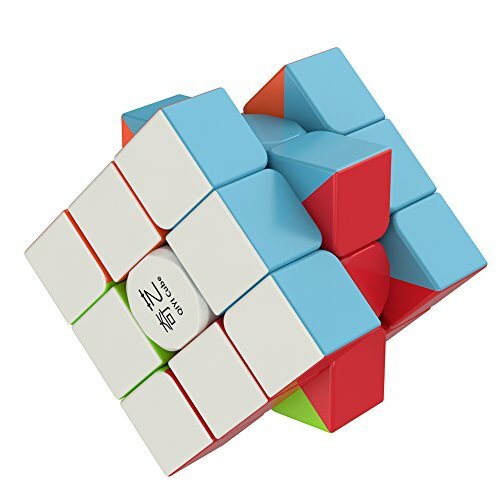 Specifications Material: ABS plastic Color: Black Level: 2x2x2 Size: 49x49x49mm Weight:About 72g Attention Some cubes may have a little lubricant above for lubricating, please wipe it up and be assured that it's harmless to people. Copyright © Wholesalion.com 2019 - The Best Prices On Brain Tester Online.